The East Alabama Regional Inservice Center (EARIC), part of Auburn University’s College of Education, is hosting a presentation by Ron Clark, widely known for his innovative and successful work with disadvantaged students in Harlem and rural North Carolina. The event is scheduled for Wednesday, August 6, 2014, at the Auburn Arena. Often called “America’s Educator,” Clark has published best-selling books on his successful and inspiring teaching methods, including The Essential 55, which has sold over 1 million copies. He was also the subject of a 2006 film entitled The Ron Clark Story, starring Matthew Perry. The event is expected to draw over 5,000 people. Special invitees include all faculty and staff – from bus drivers to superintendents – of EARIC’s 15 school districts; all employees of the Alabama State Department of Education; State Board of Education members; the Alabama Regional support staff; Alabama Legislators; and all faculty, students and staff from the College of Education. The event will begin at 8:30 a.m. with a brief presentation that highlights the many ways Auburn’s research and outreach efforts help our existing teachers, prepare capable, classroom-ready teachers from our student cohort, and enhance teacher and administrator capabilities through our graduate programs. 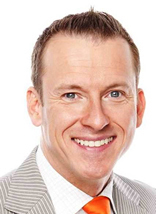 Ron Clark will take the podium at 9:30 and speak for 90 minutes. Following his talk Clark will sign books, pose for pictures with attendees, and attend a reception for supporters of the College. Ron Clark’s presentation is free and open to all faculty and staff in the 15 school districts of Region 9 which is supported by the East Alabama Regional Inservice Center, as well as other invited stakeholders. For more information on the event, contact Sandy Armstrong at Auburn’s East Alabama Regional Inservice Center, at 334.844.5028, or email her at armste@auburn.edu. EARIC’s website is http://www.education.auburn.edu/centersandinstitutes/earic/.